Georgina O’Connor has worked in recruitment for more than 13 years. For the past seven years, her work has centred on finding high-calibre senior directors and consultants working across numerous civil engineering disciplines. She started running her own CNA Executive Search franchise in May 2011. CNA International is the executive search arm of the Pertemps Group, one of the UK’s largest groups of recruitment companies. Georgina says one of the main reasons she decided to invest in setting up with CNA Executive Search was because of the brand association. “I thought being associated with the CNA International and Pertemps Group brand names would really help me to succeed,” she says, “while still being able to retain my own autonomy, which was very important. I’d been out of the industry for two years, so it would have been very hard to try to start my own business under my own brand. 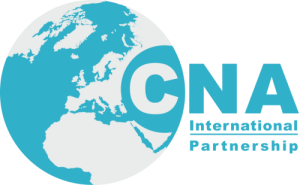 Being associated with the CNA International and Pertemps Group brand names has certainly helped the business get to where it is now. So what ambitions does she have for her business?